How Do I Apply and What is Required for Applying? Wyoming is, admittedly, probably not the first place anyone thinks of when making a list of communication degree programs. The state is one of the least-populated in the entire country and has less than 20 postsecondary institutions operating in the state. However, the state is not the barren communications wasteland some make it out to be. In fact, the state has a thriving community of communications professionals working as journalists, public relations officials and even as the external face of private companies. Perhaps the largest employer of communications professionals in the state is local, state and national government. Just a cursory Internet search can tell you that the Veterans Health Administration, Americorps, and the State of Wyoming are hiring communications professionals with advanced degree. Also, private companies like Amazon and Tesoro are also hiring communications officials to work in the Casper office. 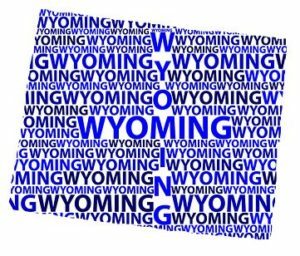 There is also hope for students interested in communications and journalism degrees in the state and that hope comes in the form of the state's flagship university, the University of Wyoming. The University of Wyoming is currently the only university in the state that offers a graduate degree program in communications. In Laramie, it is called the COJO Graduate Program and here is a quick primer on the nuts and bolts of the program. At the University of Wyoming, they prefer that you go into the program with your eyes open. They start by encouraging interested students to reach out to program directors and administrators so that they can answer initial questions and gauge the fit between student and school. These administrators will obviously give the students the overview of the program, but speaking with them and remaining in communication also eases the burden of the admissions process. Once a student is sufficiently interested and ready to apply, they need to fill out the online application. The school is specifically looking for documents such as; official GRE scores; official undergraduate transcripts; three letters of recommendation; and one statement of purpose on why the student would like to pursue a degree at the University of Wyoming. International students will of course need to also provide TOEFL scores and proof of financial support. To be considered for admissions, the university clearly outlines that students will need a combined GRE score of 291 (that's verbal + math) and a GPA of 3.0 in their undergraduate studies. Exceptions will be made for students who have an extra high GPA or GRE score. This does not guarantee admission. Each application will still be reviewed by the COJO Graduate Committee. The school summarizes the curriculum as "coursework in rhetorical, critical/cultural, and social scientific perspectives and methodologies" but you, as the student, obviously care about the nuts and bolts. Students have two options; they can either take the traditional research thesis or the project-based thesis. Students in the traditional program will be required to complete 27 credit hours plus four hours of thesis credits while students following the project-based path are required to complete 30 credit hours plus three project credits. Students don't need to make this decision right away but are expected to pick the path that suits them best by the end of their second semester (first year). Although there is a wide variety of classes to choose from within the program, the school does require a sturdy base in theory and research methods. For example, students are required to take courses in Qualitative Research Methods, Quantitative Research Methods, Journalism Foundations and a theory class such as Rhetorical Theory and Criticism. Students will be considered full-time students if they are enrolled in nine or more credits per semester. Some of the elective coursework includes classes such as African American Rhetoric, News-Making Processes, Website Design, Mass Media Ethics and Mass Communication Theory. There are also special topics offered by semester depending on the expertise of the professors. Students will also have the opportunity to earn credit for taking an internship and have some freedom of choice when it comes to thesis topic. One of the nicest parts of studying at the University of Wyoming is the cost-effectiveness of the degree. According to the school, the graduate degree program at Wyoming is more than 30 percent cheaper than similar programs for both in and out-of-state students. Plus, the cost of living in Laramie is extremely attractive for students still looking to enter the professional world. According to the school, graduate tuition for the 2017-18 school year will be $251/credit for in-state students or $4,518 for a full-time academic year. Those prices swell to $750/credit and $13,500 for full-time out-of-state students. Still, this means that you could leave the University with a Master's degree in Communications for less than $30,000, which is less than many schools charge for one year of undergraduate education. The school does offer semi-lucrative funding options for students who opt to become graduate assistants as well as scholarships, research grants, fellowships, awards and traditional financial assistance programs.